The trend of working from home has become popular these days with the freelancing industry growing at the most tremendous pace. So whenever I work at home and stretch work for 3-4 hours then my back pain start and also getting eyes burn. You can also check more about how computer ruin your eye. Once Henry David Thoreau says “The eye is the jewel of the body” ……So keep it safe. And I think this problem happen with everyone even sometime few people also getting pain in other body part like neck and legs. 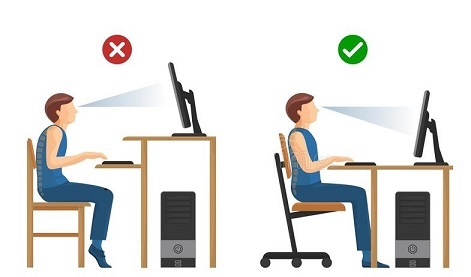 Many time People become so engrossed in work that they sit in front of their PC/laptops for hours together without taking any break and If you continue work similarly without relaxation then it is not good for body, this may adversely affects the body, especially the eyes and the posture. Some of the adverse effects of continuous working are headache, itching in the eyes, high blood pressure, backache and what not!! So we need to take relax at work in every certain period of time. let’s discuss about a few things of how to relax your body which can help you remain fit and fine. Let’s start with different gadgets that help us to relax at home or work any time..
Firstly let us discuss about some gadgets that can help relax your mind and body while you work from home. So here are the remedies…. These days almost every work involves using a desktop or laptop for completing your daily tasks. The eyes are however not accustomed to viewing the artificial light coming from the screen. This glare is harmful to our eyes and can be prevented by using anti-glare screen guards. This is certainly one of the best ways to relax at work. You can surely shop for them online at Amazon. 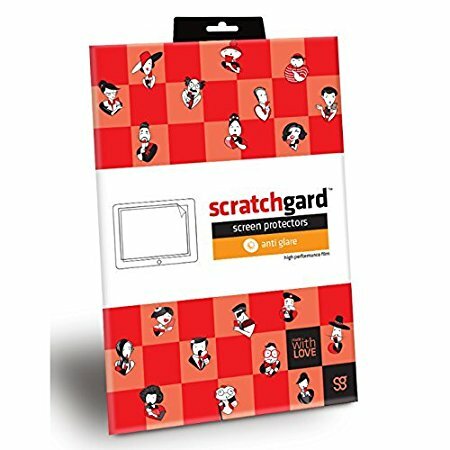 This Antiglare screen guards not cost you so much but certainly help to keep your eye safe. The eyes are the most affected of all when it comes to sitting in front of a screen. The strap-on eye coolant masks are the most effective ways to relaxing the eyes. Apply this mask after every 2 hours so as to relax the eye muscles. Shop for these eye masks online at Amazon. The body posture is very important and needs to be balanced and straight all the time. Using the right chair is very important especially when working for long hours. You can get the perfect chair online at amazon. This chair may looks high cost and surely very less as compare if it help you in relax your back. 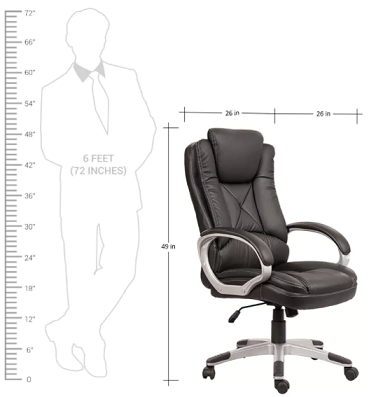 So I recommend to just select best chair that help you in better sitting. In order to maintain a fine posture it is best to have cautioned neck and back support on the chair. Below are the few position that depict what is correct and what is wrong. Try the follow 20-20-20 rule: means in every 20 minutes, take a short break for at least 20 seconds and look at objects that are 20 feet away from you. Sometime while doing work on chair people get back pain so i got good belt option for the same which you can wear while working in office as well. 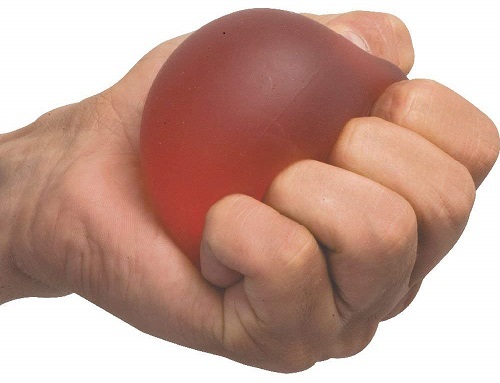 A stress ball is a useful toy which can be squeezed in the hand and manipulated by the fingers so as to relieve stress and muscle tension or to exercise the hand muscles. Do you know that stress balls are third most popular gifts in United Kingdom? You can get yourself one at Amazon. Apart from the above objects, here are several techniques that can help relieve the stress and exercise your body while you work from home. You can also check other stress relieving tools also. So here are some stress-relieving natural techniques that will surely bring your stress level a notch. Make vacationing a part of your routine: Take a break from everyday work and go on a vacation at least twice or thrice in a year. In fact not just going to a long trip, take a small tour to any nearby place every 2 or 3 weeks. It will really help relax your mind to a great extent. And if you are working at home then just go out of house so change of scenery would surely make you more relax. Keep moving: That’s right, don’t just keep sitting at one place for hours. Keep moving around every half an hour. Just get up from your chair and walk for 2 minutes that will be enough. This will help relax all the stiffened muscles of the body. Just remember every little effort counts!! Yoga and meditation: Yoga and meditation have been practiced by people for almost 1000 years and are the most effective mind-body relaxants. Just 10 minutes of daily meditation positively affects the mental state over a period of time. Relaxation yoga is not about lying down and relaxing. Just find a place to lie down and do 2 Asans- Savasan and Makarasan for 3 minutes each,do in such a way that help you to Free Your Spine and feel rejuvenated and relaxed. Just a word of caution, don’t sleep doing Savasan!! 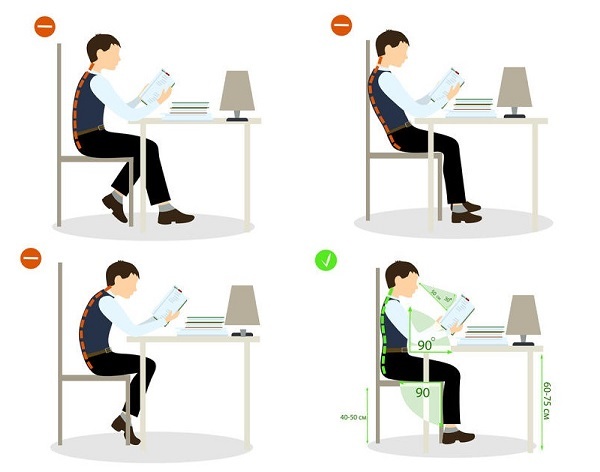 You can also check few best exercise one can do at desk, as it’s very important to relax your body part. Breathing technique – This technique consider to be very old but yes today also effective.. I always do long breath after certain time of work so it enhance the calming effect. If you never done then i recommend to give one try at least. Steps 1 – Take long breath and hold for a second. Step 2- slowly breath out.. Step 3- repeat above 2 steps at least 10 time in every half an hour. 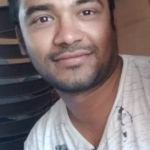 Read a book : By doing similar work our brain also feel tiredness so we need to do some different thing..and if you like reading friction books…you can also check here few best fiction books that you surely like…you can also opt for an episode or two of TV series you like most. sometime we use to busy in work and forgot how long we are continuously working without taking rest or relaxation.So best ways to install chrome extension which remind you after fix period of time for eye and other body relaxation. Below are few best chrome extension you can use for this purpose. Listen to songs: Listen to a few songs of your choice when not doing some important work. Just create a playlist and click the play button on your phone and work to the rhythm of the songs. In fact if you can take out 2 or 3 minutes of time in the interim, you can dance to your favorite beat as well! As per Harvard school Music therapy can relieve your stress and also improve mood.So you can work with more efficiency. So go ahead, don’t just sit there. Get up, get moving and earn not just money but a good health as well.